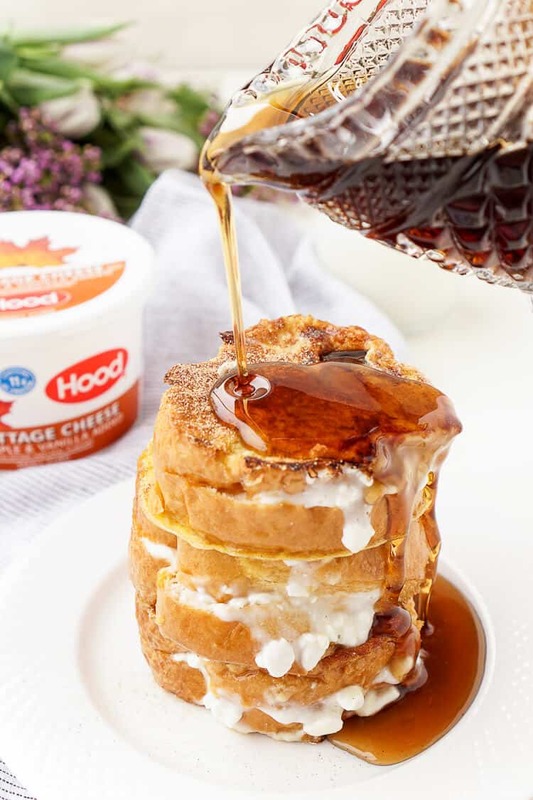 You’ll be itching to get the family together after taking a peek at some of these delicious bites. 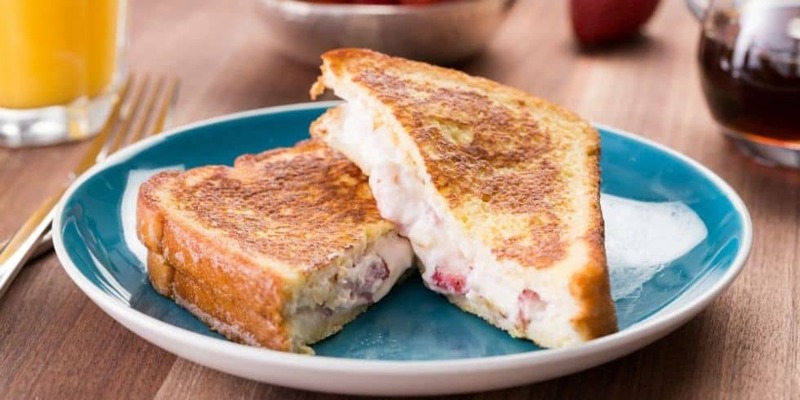 These 15 stuffed french toast recipes are sure to make brunch so much better this time around. Add a mimosa or some freshly-squeeze orange juice on the side for a rounded out weekend meal for everyone you love. From savory to sweet, there’s something for everyone’s taste buds to enjoy here. 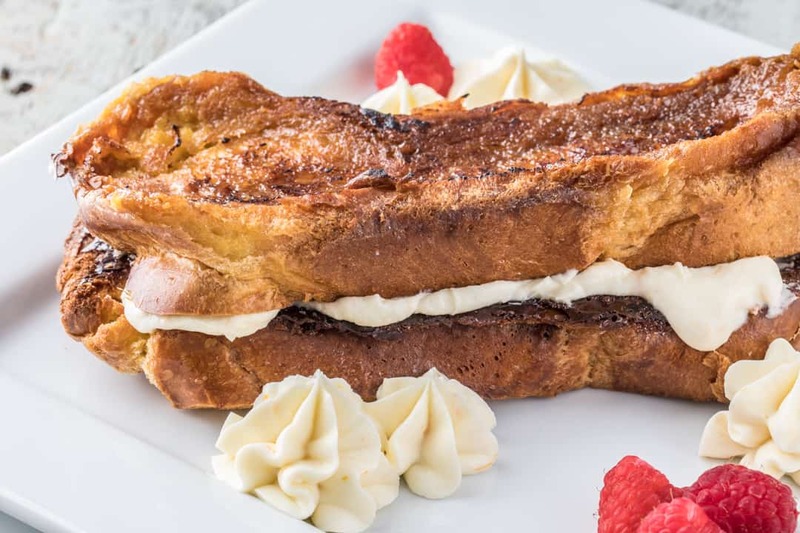 Serve up dessert for breakfast with this indulgent cookie dough-stuffed French toast we found over at Delish. 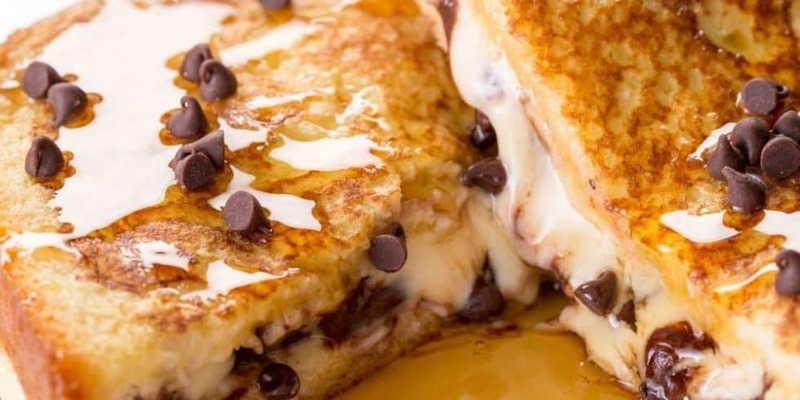 The creaminess, the gooey bites, and all of those half-melted chocolate chips look like something we could dive into right now. 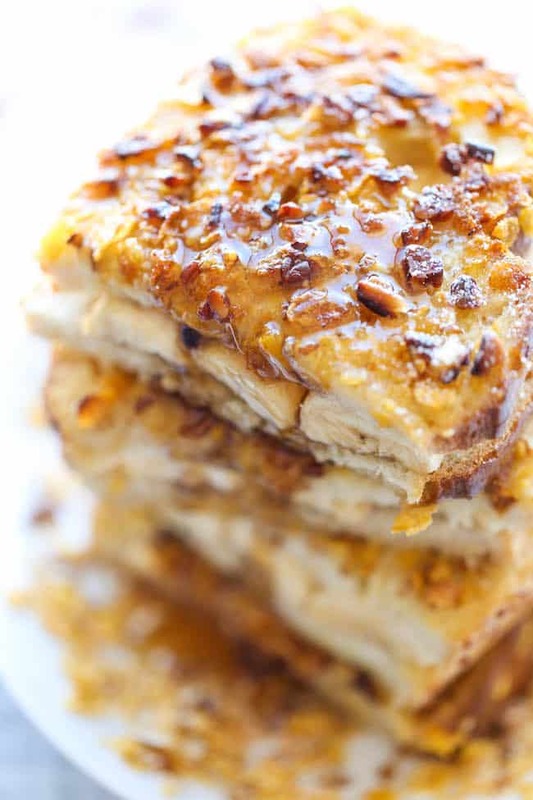 It’s the perfect birthday breakfast recipe! The Girl Who Ate Everything stuffed her French toast with some gorgeous strawberries. 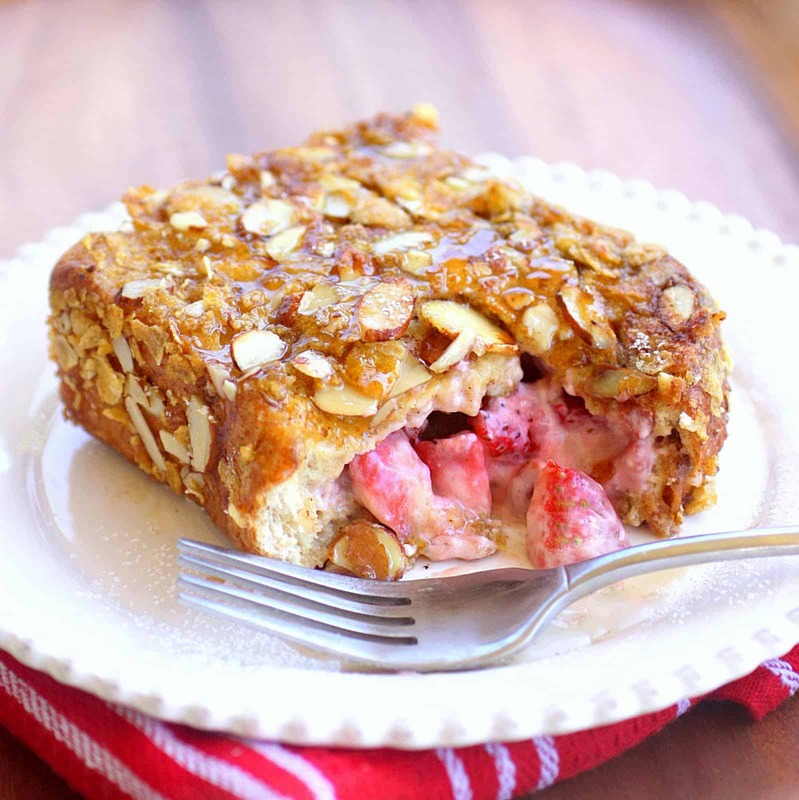 Bring this to brunch or surprise the family with this treat come the weekend. 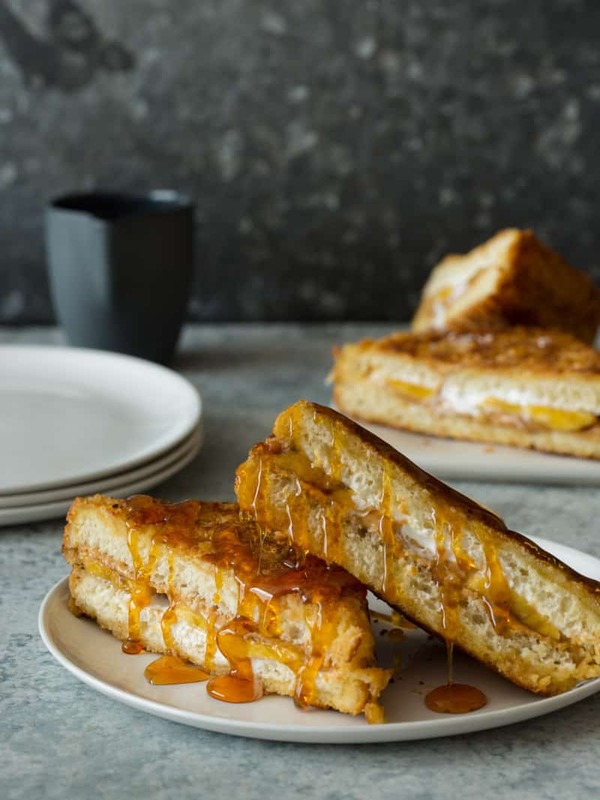 Even non-French toast lovers will want to try this dish out. Of course you could go with Damn Delicious and stuff yours with some satisfying bananas. 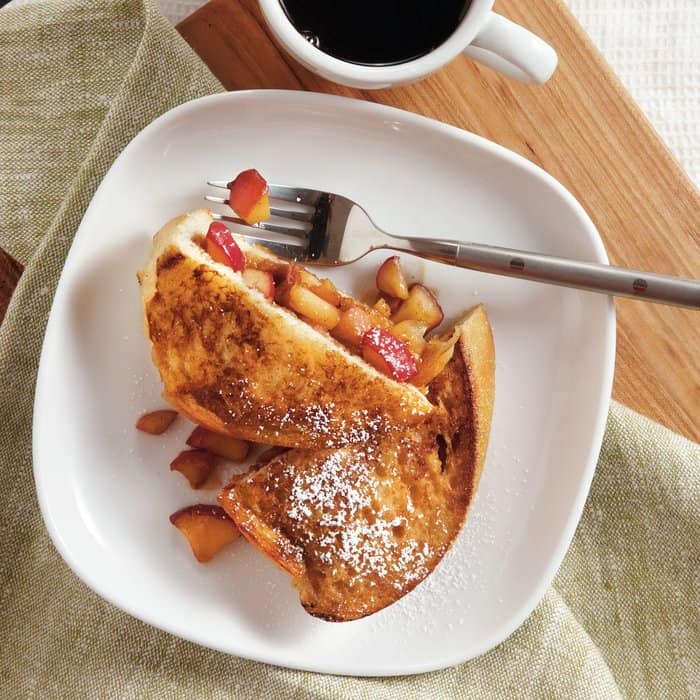 This fruit already goes well with breakfast and well with cinnamon, so you’re just plumping up a classic French toast recipe with a bit of sweetness that’s favorited by everyone. A bit of syrup or caramel drizzle will finish it off nicely. 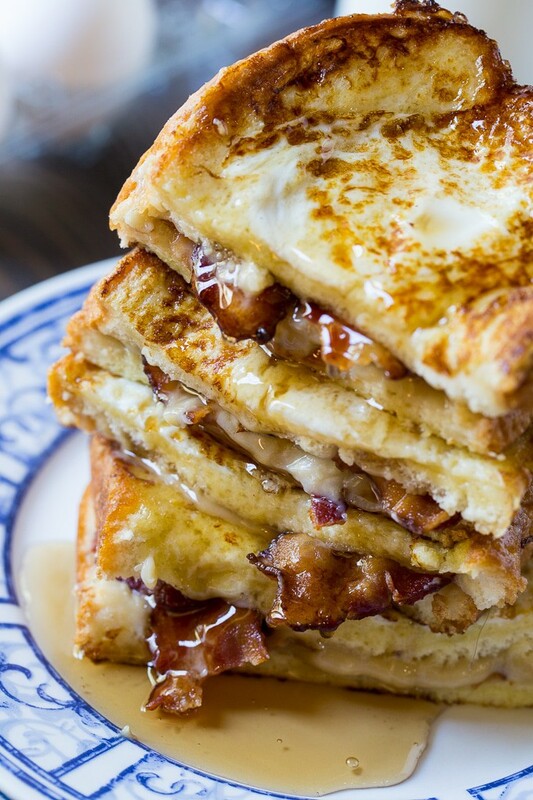 There’s nothing that goes better with a thick slice of French toast and syrup than a crispy piece of bacon. And over at Spicy Southern Kitchen you’ll learn that bite can be made even better if you stuff it with the classic, breakfast side dish. Check out the recipe after the jump. If you’re looking for something less sweet and more satisfying, try out a peanut butter stuffing. We love this savory recipe found at Love Grows Wild. And it could easily be topped with some fresh-cut bananas or strawberries too. 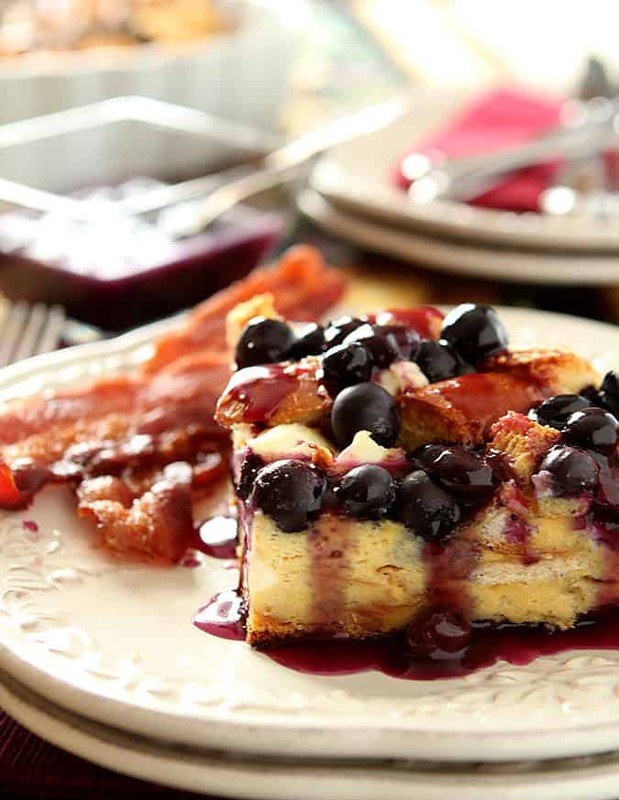 If you like a blueberry and cream cheese combo, use that as your inspiration with your French toast. Stuff it with the deliciousness like they did at Creative Culinary. This is a surefire winner at the brunch table, trust us. Southern FATTY went all out with their recipe and made bourbon the star of the creamy show. A bite made for the adults, jazz up holidays with this dish. It’s a treat that you can reminisce about all year long. 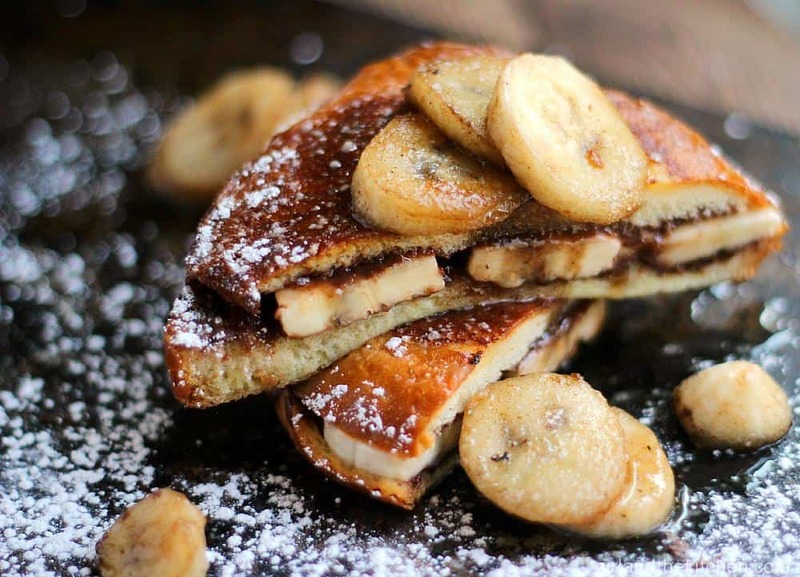 Nutella and bananas goes together like peanut butter and jelly. And that’s why Girl and the Kitchen chose the combination as her stuffing of choice. Take the leap and learn how to whip this up for your beau by the weekend. My Recipes fried up some apples and stuffed their French toast with the deliciousness. It’s like a socially acceptable way to indulge in apple pie for breakfast and we’re all for it. Serve it up with a hot cup of coffee and celebrate fall with its comforting flavors. 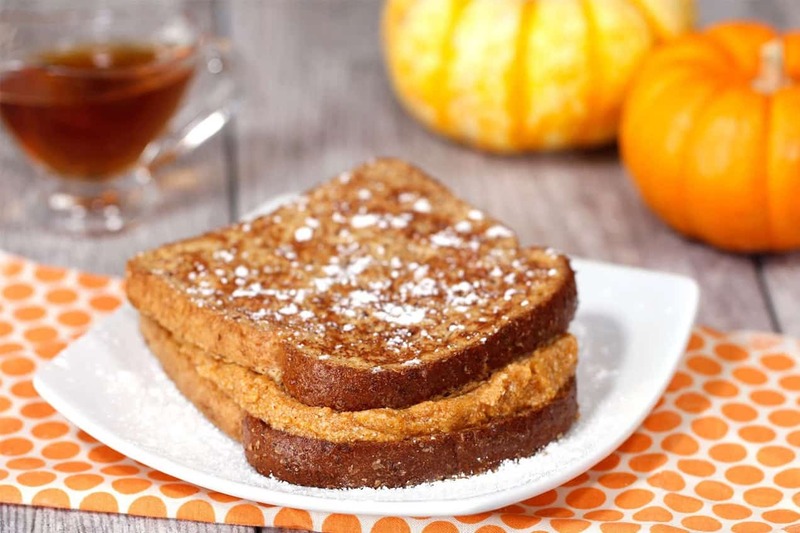 Here’s another fall-inspired flavor that goes great with your French toast. Pumpkin spice and everything nice is what Hungry Girl dressed her breakfast in. And the recipe isn’t one to feel guilty over either, so that’s a definite plus in our books! 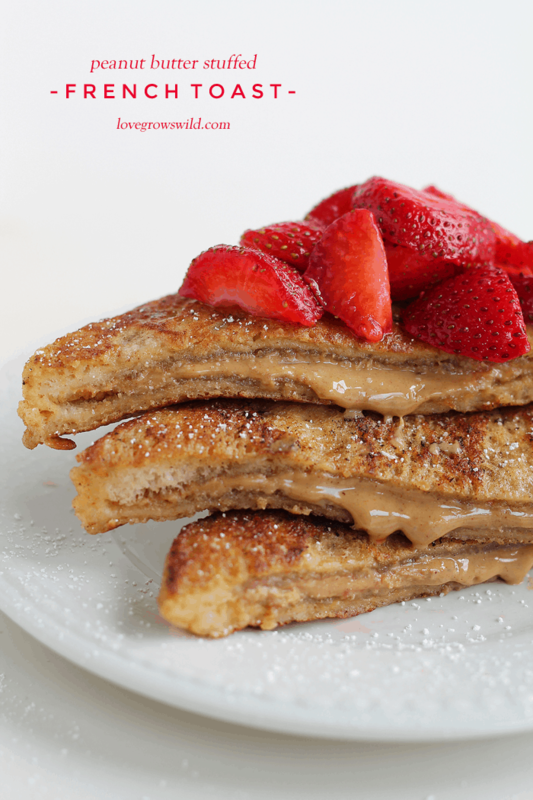 If you’re feeling extra sweet, grab some fluffernutter to fill your French toast with it. Add peanut butter if you like or even some honey. Grab the original recipe at Spoon Fork Bacon. Sugar & Soul added a bit of maple and then infused their French toast with some vanilla cream. The maple syrup adds the right kind of topping. And some sausage links and crispy bacon makes the perfect side. If you’re feeling a little bit fancy, then you may want to go with this mascarpone recipe from Katie’s Cecina. Fresh fruit would make a nice addition to the plate and you can feel a little “extra” by serving this up for Easter brunch this year. 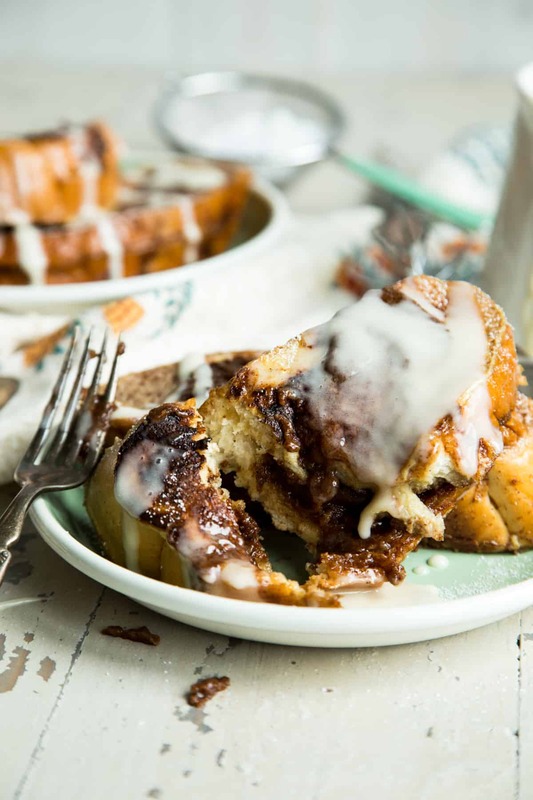 Country Cleaver went classic and extra indulgent with this cinnamon roll creation. Stuff your toast with all the goodness that a gooey cinnamon roll has to offer. It’ll be fragrant and filling and just oh so good for the kiddos to dive into. And finally, you can visit Delish for something a bit creamy, a bit fruity, and a whole lot yummy. 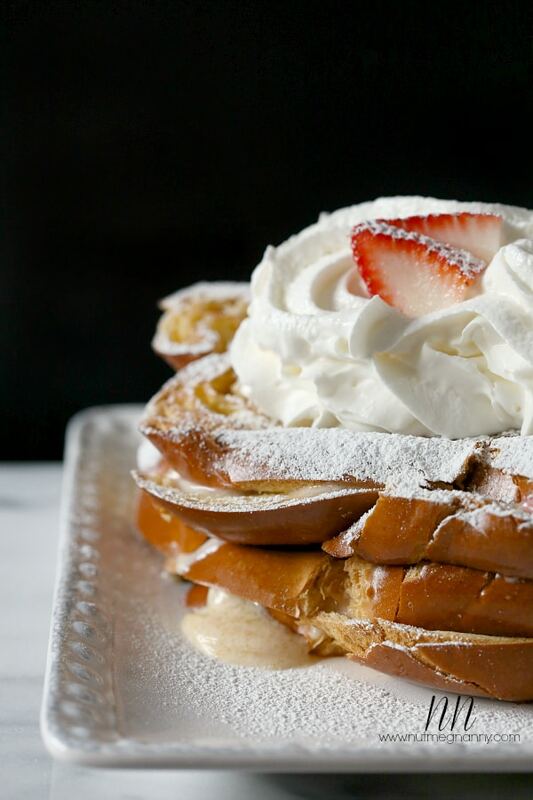 Combine a favorite dessert with a classic breakfast dish for something extra magical. Serve this up for holidays or a just because weekend treat.